SATS' 2QFY3/18 core profit of S$65m in line with our and Bloomberg consensus expectations. 1HFY18 core net profit accounted for 50% of our full-year forecast. EBIT margin rose to 14.1% in 2QFY18 (1QFY18: 12.5%). Upgrade to Hold, our TP rises to S$4.81, now based on 20x CY18F P/E (3-yr mean). Margins could be compromised given the low-cost carrier (LCC) nature and high operating costs in Turkey. Forex losses (from lira and ringgit) could be risks. Interim DPS remained stable yoy at S$0.06. Investors patient enough to hold > 12 months, and able to stomach potential hiccups in new markets can buy and wait. SATS' 2QFY18 profit of S$72m included S$7m gain from de-consolidation of SATS HK. The de-consolidation cut staff costs by S$5m qoq to S$206m. Excluding this, EBIT margin was 12.9% (2QFY17: 14.5%). Japanese subsidiary TFK's revenue shrank 13% yoy to S$62m as it lost the Vietnam Air inflight catering job to ANA and was impacted by its client Delta cutting some routes to Tokyo. 2H18F could improve on the back of a new contract in Oct 17. Profit contribution from food solutions associates grew 50% yoy to S$5m, driven by its increased stake in Evergreen Sky Catering from 15% to 25%. Beijing Airport Inflight Kitchen Ltd also performed well. Gateway solutions profit rose 7% yoy, in line with the overall strength in the cargo market, especially in Indonesia. Based on implied ground handling revenue from Jetstar in Singapore, we estimate revenue per flight of S$1,200. Assuming similar ASP, the effective 49% stake in AirAsia’s Malaysia ground handling, Ground Team Red Malaysia (GTRM), handling c.170k flights to/fro Malaysia could add S$7m to SATS’s earnings based on 8% EBIT margin (benchmarking to FY17 gateway margin). The MOU signed with Turkish Airlines (THY) in Oct to handle inflight catering in Istanbul New Airport could add c.S$400m revenue p.a. from FY21F. Phase 1 of the airport will be completed by Oct 2018. Our estimate is based on THY’s existing inflight caterer Do & Co’s annualised revenue from Turkey in 3QCY17. Do & Co’s EBIT margin declined from 8.5% in FY6/15 to 7.5% in FY17 and 4.7% in 1QFY18 post terrorist attacks and aftermath of geopolitical issues in Turkey. SATS's FY17 food solutions EBIT margin was 17%. We commend SATS's effort to keep ROEs at 15-16% by de-consolidating loss-making entities. Another S$12m of gains could come in 2HFY18F from the sale of 4% stake in Asia Airfreight Terminal Co and an investment property. End-Sep net cash was S$367m. With limited growth in mature markets e.g. Singapore (SIA squeezing suppliers to improve yield) and Japan (ANA getting aggressive in expanding its catering market share), SATS has to look to its overseas assets, at the expense of price and gestation. We lift our FY18-20F core EPS by 2-4% on exceptional gains and volume growth from AirAsia and THY. As such, we now use 3-year mean forward P/E of 20x to value SATS (previously 18x, 5-year mean). Potential re-rating catalysts are stronger-than-expected volume and successful execution in Turkey. Downside risks are hiccups in new markets. 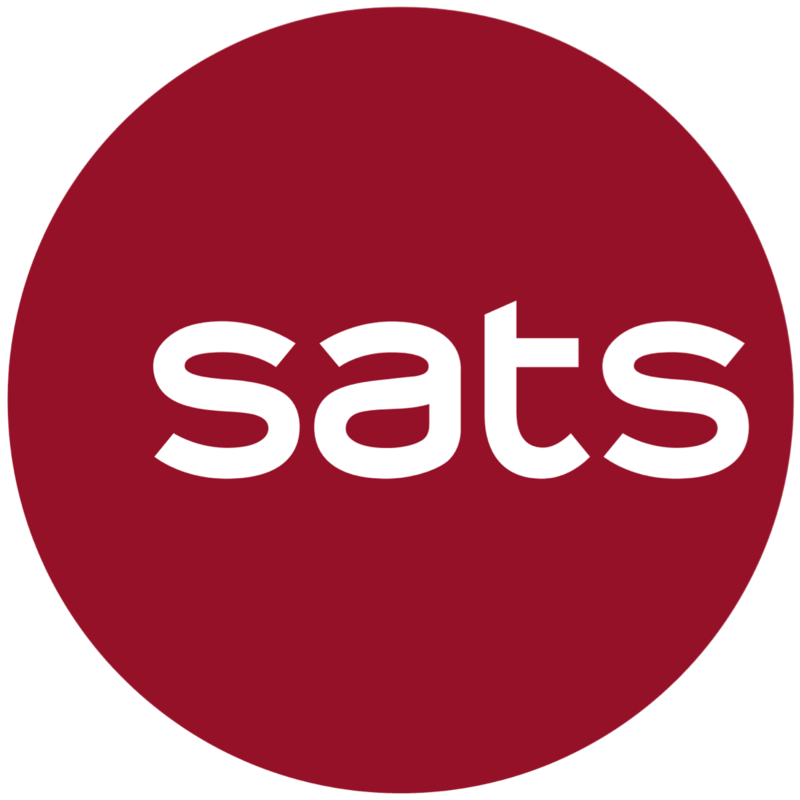 SATS to operate its ground handling business in Malaysia, as well as the ground handling business of Changi Airport Terminal 4. The former is currently wholly-owned by AirAsia under Ground Team Red Sdn Bhd, or ‘GTR Malaysia’ (GTRM), while the latter is currently wholly-owned by SATS under SATS Ground Services Pte Ltd, ‘SGS Singapore’ (SGSS). The JV company is called Ground Team Red Holdings Sdn Bhd (GTRH). After the transaction, SATS will own an effective 49% stake in GTRM, with AirAsia holding an effective 51% stake. Meanwhile, AirAsia will own an effective 40% stake in SGSS, with SATS holding an effective 60%. In the future, AirAsia’s ground handling operations in Thailand, Indonesia and the Philippines will also be injected into the JV. Paying S$119m for GTRM could be an expensive buy, in our view. Net earnings from GTRM could be lower if ASP is in ringgit terms. We have also excluded the upside from potential 36k flights in AirAsia’s overseas operations, as well as the offsetting effect from the dilution of earnings from Terminal 4.